This would make a beautiful gift for anyone this Eid. To wear as a necklace or to keep in one's car. Solid Cast, sterling silver. Great quality & not like the thin pendants that are more common. 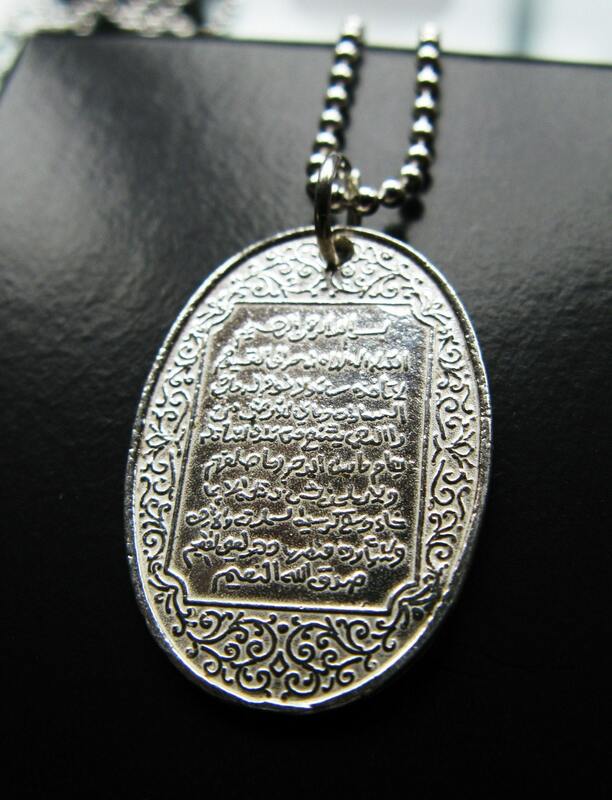 With beautiful calligraphy & deign around the edges, this 1.5" long sterling silver pendant features the blessed Surah of the Throne. 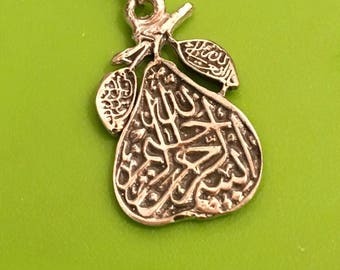 Ayatul-Kursee in tiny Arabic Script, suspended from 24" of sterling silver ball chain with round clasp. This length is standard for men, great for hijabis, but i am happy to customize length upon request.